Please fill out the form below and we will get back to you to confirm your selections and arrange payment. 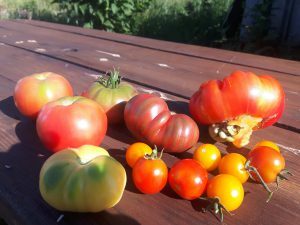 Community Supported Agriculture (CSA) is a system of growing and distributing organic produce that restores the connection between farmers and community supporters. CSA systems provide farmers with an equitable return for their labour and establishes a strong foundation for sustainable agriculture while contributing to a healthier environment. By purchasing a CSA you are guaranteed a weekly portion of fresh vegetables that are harvested straight from our gardens throughout the summer months. Your commitment also supports sustainable farming, preserves biodiversity, and builds a healthier, local and sustainable food system. A Regular Share is suited to 1- 2 adults or a small family. A Large Share is suited to 2 adults who eat a lot of vegetables or a larger family. With your CSA you have the option of picking it up at the Farm, Uxbridge Farmers Market, Junction Farmer’s Market, Bloor Farmer’s Market, Newmarket Farmer’s Market, and Evergreen Brickworks. Or have your box delivered to your door. We deliver to Uxbridge and surrounding hamlets, Zephyr, Sandford, & Leaskdale. We deliver to Toronto both to the west end, east end and surrounding GTA. There is a fee for the delivery option to cover the costs of gas and time to deliver, plus a bin fee to cover the costs of buying and cleaning the bins used for delivery. We also offer a discounted delivery fee for group delivery. Enjoy a delivery of fresh organic free range eggs with your CSA vegetables. Delivery is every other week for a total of ten deliveries. Please note we sell out of our egg CSA so priority will be given to those already receiving vegetable CSA. Receive a bottle of maple syrup once a month for five months! Choose from 250ml, 500ml. or 1l bottles. Maple syrup is produced by Pefferlaw Creek Farms. Receive a jar of honey once a month for five months! Choose from either 1/2 kg or 1kg jars. Honey produced by Autumn's Bounty. 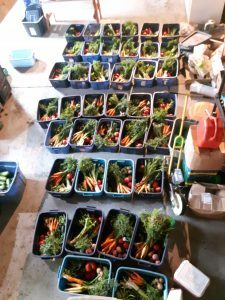 Step 4: Food Bank CSA Program! A program in partnership with The Four Villages Community Health Center. We offer a discounted CSA @ $400 regular share with no delivery fee. 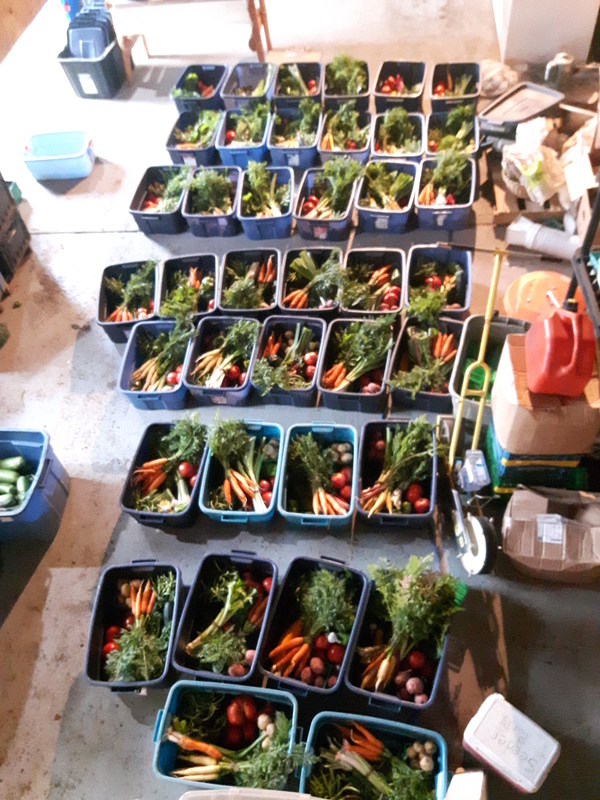 The food bank then selects a family they feel might benefit best from the CSA program. 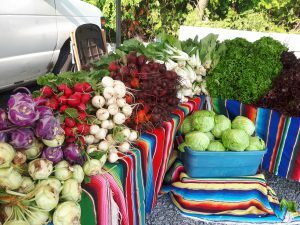 Your donation dollars go to help pay for the discounted CSA, for the family receiving the share. Any donation amount is welcome. We will also fund a CSA share for a family even if all the $400 to fully pay for the share has not been collected yet. Yes I would like to donate to the CSA food bank program (any donation amount is welcome). 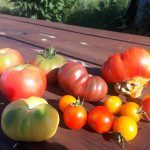 Would you like to participate in the CSA Volunteer discount option?